From 19th to 21st of January we witnessed second qualifier of 2018 Adidas Next Generation Tournament season. Level was much worse than in L’Hospitalet especially from NBA scouts perspective. Also competition had somewhat surprising final as Zalgiris missed the 1st place game for the first time in a while. 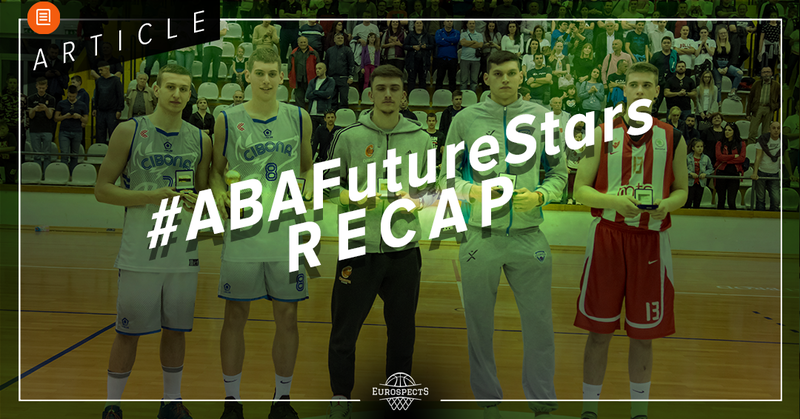 Eventually their biggest rival – Lietuvos Rytas Vilnius took the crown but let’s focus on the performance of top prospects who participated in this event and those he emerged as must follow players moving forward. DEIVIDAS SIRVYDIS (6’8, 2000, GUARD/FORWARD, LIETUVOS RYTAS) – stands around 6’8 which is a great size for (point) forward. He is not very explosive and possess just average overall athleticism but his crafty driving angles and smooth footwork still allow him to get to the rim without much troubles. Body frame has ok width but is not toned. Believes in his offensive attitudes. Fires it up from distance whenever he has opportunity and his shot selection may look borderline selfish at times. However can occassionally kick the ball out and is proper executor in transition. On the other hand Sirvydis is not a good facilitator off the ball. Needs big usage on the floor. ROKAS JOKUBAITIS (6’3, 2000, GUARD, ZALGIRIS KAUNAS) – A lot of eyes were at Rokas after his stunning performance vs Prienai in BBB Challenge. He was a leader of Zalgiris but 3rd place happens to be the worst result since years for Lithuanian powerhouse. Talented guard is a nightmare in pick and roll game. His reads are unbelievably quick and correct. Court vision allows him to make dishes with authority and he opens the game for the teammates thanks to defensive focus that he attracts. Moreover he possess nice hesitation dribble, enough wiggle with the ball and amazingly crafty footwork while driving to the rim. Ability to change directions combined with tremendous body control which allows him to maintain solid balance and increase the chance for making the layup are something you can neither teach nor defend. What can be worrying and decrease NBA chances is shooting. Form looks ok but Rokas made only 16 from 68 3pt shots this season including AdidasNGT qualifier. Also his frame is quite maximized. ARISTIDE MOUAHA (6’3, 2000, GUARD, STELLAZZURRA) – One of the most positive surprises of tournament. 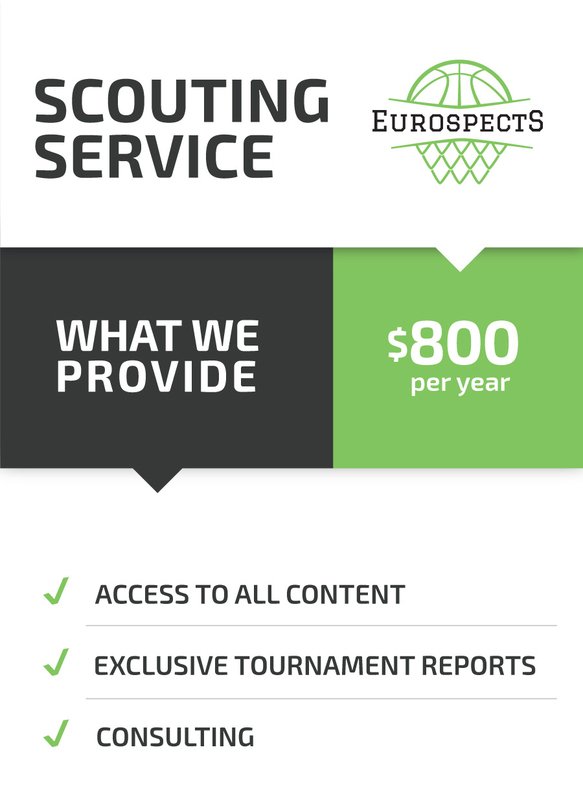 It was very refreshing to see potentially high level African guard prospect in Europe. Mouaha who played on loan caused a lot of damage for opponents thanks to his energy and relentless attitude. He plays very much in the style of American athletic guards. Has a rare combination of power, body control and explosiveness which help him to finish around the rim also in traffic. Moreover what is even more intriguing, those tools are combined with at least acceptable IQ. He has no troubles at all handling the ball and shooting stroke looks developable. MATHIS DOSSOU-YOVO (6’9, 2000, FORWARD/CENTER, CFBB PARIS) – Truly valuable defender and team player. Tough as rock, built almost like a tank and able to withstand every contact. Sets the screens that no guard likes to go through and runs the floor very hard. Unfortunately lacks length for high level center. Plays a lot of minutes as a 4 but his mid range J is still inconsistent and he has very little face up assets beside that (mostly takes part in fast break offense or scores by getting physical with similar players sizewise). Seems to have some extra length in his arms which combined with intangibles, staying in his role, willingness to do dirty job and being reliable with his effort make him very good prospect for French market. 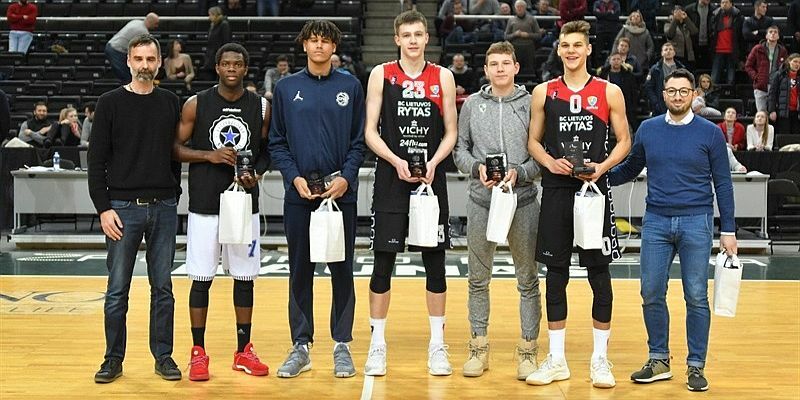 MAREK BLAZEVIC (6’10, 2001, CENTER, LIETUVOS RYTAS) – Not to take anything away from Rytas there is no U18 club in Europe where Blazevic would not be the major contributor. He possess absolutely perfected positioning and top notch instincts for a big man – either rebounding and passing wise. He is efficient and likes to take scoring burden on his shoulders but could possibly add more go to moves in the low post to translate it for the next level. 86% from the FT line is a good indicator of improved shooting touch. PAVEL ZAKHAROV (6’10, 2001, CENTER, CSKA MOSCOW) – Played on loan from Zenit Saint Petersburg. Not a discovery at all as he was at Eurocamp where they selected him as one of the few prospects for prestigious camp in LA. Possess amazing body – very strong legs and broad shoulders. Mobility and leaping ability also catch the highest standards. During the summer with Russia U16 he looked a bit robotic but here showed better court awareness and even made some nice passess. Willing to fight, has a little of footwork in the post. Moreover developable shooting stroke and excels as offensive rebounder. Likely to become good multipositional defender. DMITRII KADOSHNIKOV (6’8, 2001, FORWARD, KHIMKI MOSCOW) – Possess really good body frame which already filled out. Beside being ready from physical standpoint he shows notable competitiveness and solid defensive capability. He is very good leaper off two feet able to finish with the dunk even while given not that much space. Also definitely impactful rebounder. His stroke is not the purest but still good enough to keep the defense honest in stretched floor but not necessarily all the way to the three point line. Checks enough boxes to be considered for 3-5 positions at youth level but seems to be the most suitable as 4 for future. Not the best face up isolation player but has adequate quickness and strength to make straight line drives. May have the best shot from Khimki U18 to make it to the pro team. VIKTOR LAKHIN (6’10, 2001, FORWARD, CSKA MOSCOW) – Russian youngster made a visible strides to become legitimate shooter. He previously showed promise of stretching the court but form looked definitely more repeatable and he took more attempts thanks to this reliability. Moreover Lakhin is light on his feet, runs the floor really well and has exceptional timing for blocking the shots. On the downside he still lacks strength badly and possess somewhat narrow shoulders which doesn’t indicate room for great physical progress. Face up assets beside shooting are still work in progress. 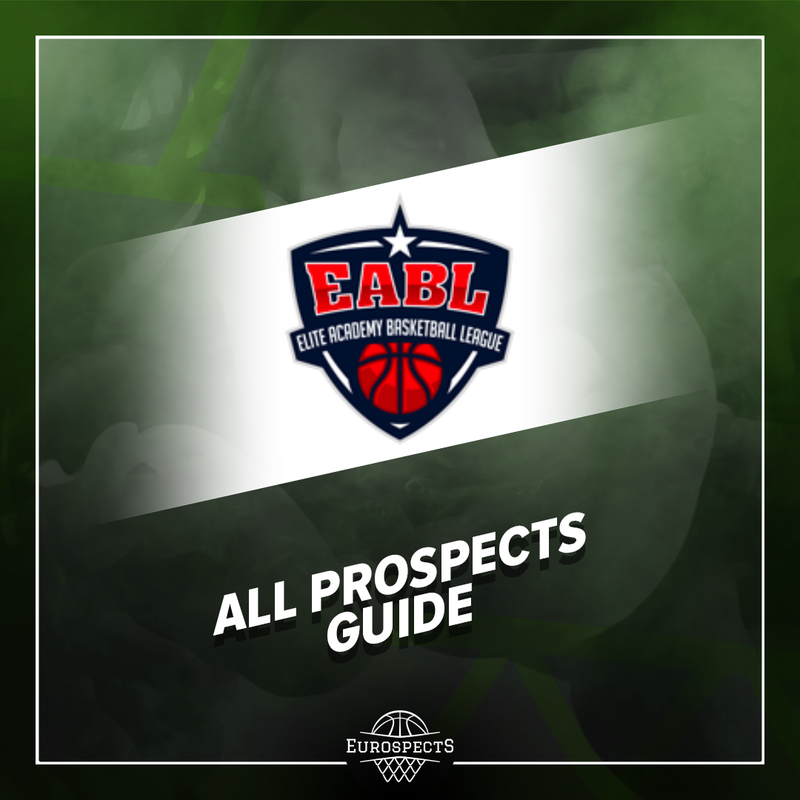 PAUL EBOUA (6’8, 2000, FORWARD, STELLAZZURRA) – Another must follow for executives from the best basketball league in the world. His performance vs Zalgiris in the game for final was really NBA type. Beside ability to guard everyone given strength, aggressiveness and 7’3 wingspan, Cameroonian prospect showed better offensive awareness. While he is not expected to ever be particularly productive offensive catalyst in half court sets, he keeps maximizing his potential in well spaced floor: transition (including sporadic grab & go), put back dunks and eventually off the ball cuts. His not the most natural high release stroke is also not bad at all which helps even more. ALEKSANDR ERSHOV (6’6, 2000, GUARD, CSKA MOSCOW) – Stats may suggest at least adequate performance but considering stardom he gained in 2017 Kaunas AdidasNGT thanks to MVP award, I feel like scouts expected to see more and Ershov cannot be fully satisfied as well. CSKA didn’t appear on the podium again and Alexander’s role was somehow smaller than one year ago. Especially he was clearly not himself in first game of tournament. Later he bounced back a little but was unable to make his teammates better and some of his plays looked questionable. While he possess elite tools for European guard/wing considering how dynamic and explossive he is, there is still not so much upgrade in shot creation skills. MARTYNAS ARLAUSKAS (6’6, 2000. 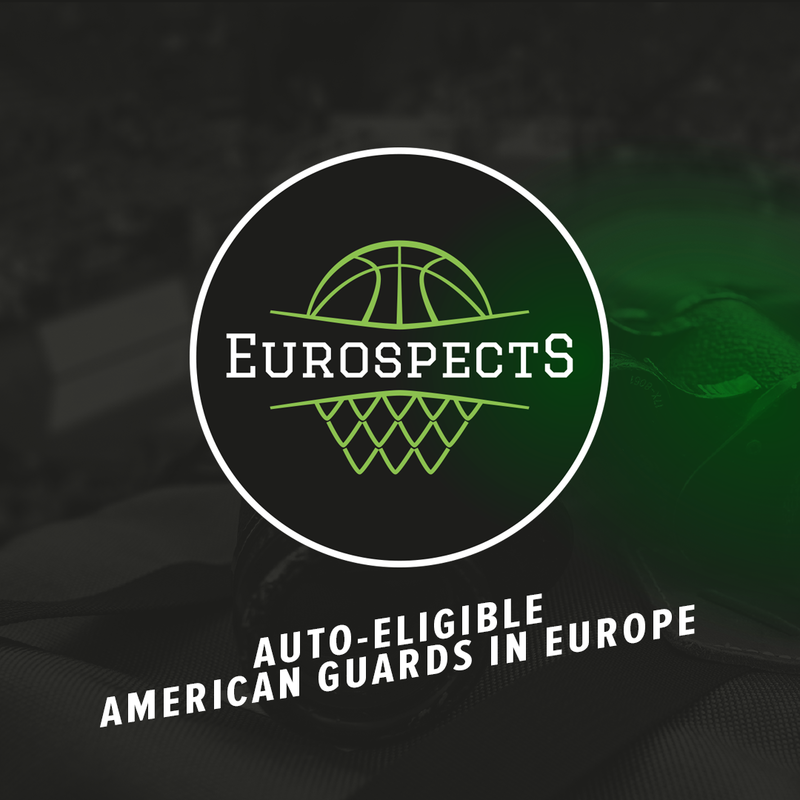 GUARD, ZALGIRIS KAUNAS)- Another highly touted Zalgiris prospect who already made several Euroleague appearances. 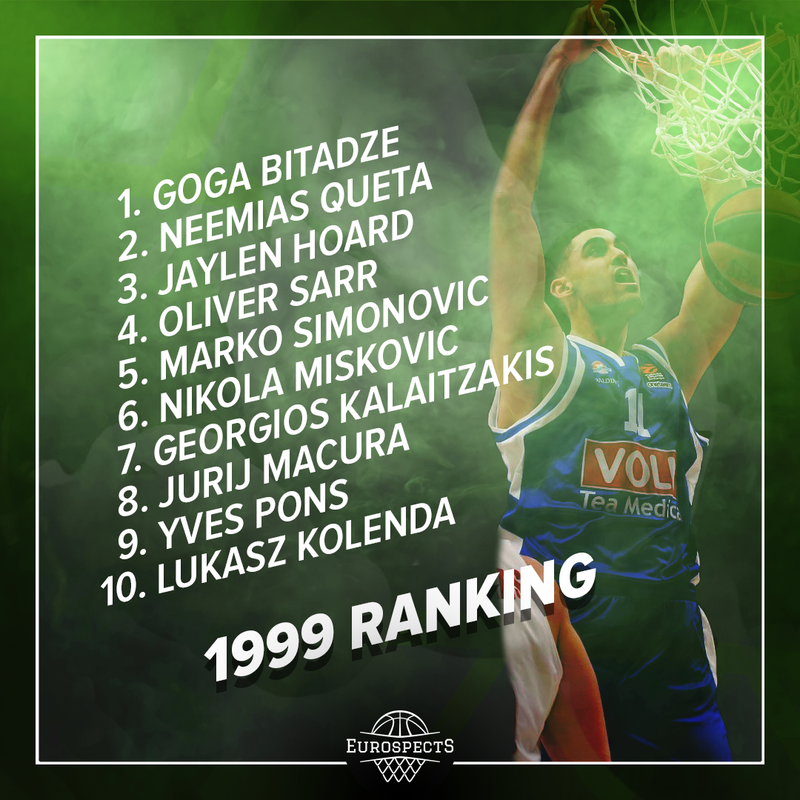 He played with good confidence level which can be connected to the experience that he gained thanks to coach Jasikevicius. Maturity was visible not only in decisions he was making but also Arlauskas body started to fill out. He possess really well rounded skillset standing around 6’7 which is enough for high level ⅔ position swingman. He took a role of pick and roll ball handler at times and was able to create either for himself and teammates. Showed nice slashing ability especially attacking the close outs with flashes of solid acceleration for European prospect. In isolations he lacks super advanced go to moves but can also sporadically blow by his defender. Plays tough and is definitely good IQ player but wasn’t really able to make a difference. Very good prospect and must follow but NBA chances aren’t overly big in my eyes as he doesn’t appear to have elite skill. ANTON ALAKIN (6’5, 2000, GUARD, KHIMKI MOSCOW) – Another interesting discovery next to Mouaha. Alakin is very exciting player on guard position who has a nose for getting to the basket in open floor and half court. His very good quickness really helps him to utilize slashing ability. He hit some extremely difficult lay ups and in general is really hard to keep in front given his acceleration and interesting, hard to predict moves. Needs to improve his outside shooting ability not to remain one dimensional player. Can possibly become utility bench scorer on good level. YOHAN CHOUPAS (6’3, 2000, GUARD, CFBB PARIS) – If Choupas had big offensive role it means that CFBB was lacking weapons on this end of the floor this time. It was nice to see him offering a little bit more than 3 & D but he is unlikely to be given such a big role on this end of the floor in a good Pro A team. However if he continues to polish his spot up shooting can definitely play in the best French teams as defensive specialists given his foot speed, aggresiveness and ability to contain the dribble penetrations with his body. TIMOTHE CRUSOL (6’3, 2001, GUARD, CFBB PARIS) – Good guard who struggled with shooting from the distance badly. He looked much better playing next to top prospects in backcourt like Theo Maledon or Killian Hayes past summer. Possess natural flair for the game, good body structure and ball control. Needs to refine playmaking responsibilities and add consistency to his stroke. Anyway shows solid Pro A potential. JONAS PAUKSTE (7’3, 2000, CENTER, LIETUVOS RYTAS) – Ridiculous tall – may be 218-219cm (7’3) without shoes. Body is slightly improved but still very lanky. Tried to be really competitive and it’s hard to have any objections about how he used his length on boards. Seems to be somewhere between Zydrunas Ilgauskas and Shawn Bradley. However more of a poor version of them as he has neither polished mid range J like Big Z nor cosmic length of enormous mormon. Also times he lives in are less relevant for such a skinny giants. Fairly mobile for his measurements but has obvious troubles with lateral movement while taken away from the rim. Positive aspect was that he was really making effort not to get dominated by stronger frontcourt players. VOLODYMYR MARKOVETSKYY (7’2, 2000, CENTER, ZALGIRIS KAUNAS) – Numbers per 36 may look ok but honestly I was expecting more visible refinement in his game especially in terms of mobility. Ukrainian prospects still gets no elevation, is stiff and reflex & coordination leaves a lot to be desired. On the other hand he gained some pounds on his once skinny frame and is even taller now which can extend the hope to see him moving more fluidly. OSKARS HLEBOVICKIS (6’7, 2000, GUARD/FORWARD, VEF RIGA)– Threes were the hope for good result in undersized VEF team but percentages were very low. Unfortunaly Oskars individual contribution in this regard didn’t improve the team record. Still has a small flaw with non shooting hand and stroke is a bit flat. Size and versitality combination is definitely something to like as he plays 1-3 positions with (almost) equal success. He tried to step up, played with great energy, was never affraid to attack but ability to stand the contact is something he may never be good at. ESSOME MIYEM (6’10, 2001, CENTER, CFBB PARIS)– Played somewhat in slow motion. Didn’t grow, lacks explosiveness badly. Still not very impactful offensively. Looked worse without elite guards around like Theo Maledon or Killian Hayes. DAVID MUTAF (6’4, 2002, GUARD, FENERBAHCE) – As the youngest player on his team, David Mutaf did not play excellent at all but his game style and some sequences in games grew hope for the future. In a dissapointing Fenerbahce team, crafty guard seemed like he would lead his team and Turkish U16 National Team in the upcoming tournaments. Frame, strength and defensive tools are not polished yet but offensively with his craftiness on isolations he was fun to watch. Younger brother of Beşiktaş Sompo Japan player Can Maxim Mutaf, can turn into a crafty combo guard if he developes shooting consistency and body. It would be better to evaluate him after U16 competitions to see how he is doing against his age group. MAXIM CARENE (6’9, 2001, CENTER, CFBB PARIS) – Possess monstreous wingspan (may be close to 7’4 by eye test) but does not offer much beside length. Has kinda no clue under the rim. It’s very easy to block his shots. Also slow, lacks strength, not vertical player.